If it is true, as Gustav Mahler used to say, that “Tradition is to keep the fire, not to adore the ashes”, then this group of 10 musicians plus a presenter is the most lively, modern and flamboyant bishop of music who in the cent ‘years and that in its origins also boasts Italian roots: jazz and swing to dance! And they sing and dance all or almost, in this 10tet !!! There is a presenter who does not resist the temptation to throw away the folder with the titles to read and draws the audience to the notes of Cab Calloway, a singer who evokes both the swinging Ella Fitzgerald and the smoky and sensual atmospheres of Jessica Rabbit, a guitarist, heartbreaker who sometimes leaves the guitar to enchant everyone with a voice à la Chet Baker, «James Dean of jazz». And again, the band from time to time invites on the stage those who want to try their hand at the “Puttin ‘On The Ritz” tap taps (maybe recalling the famous Frankenstein Junior scene! 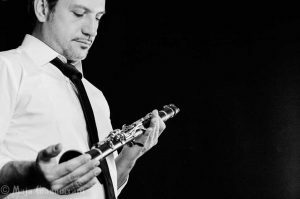 ), And finally he – the conductor and arranger – the clarinetist Nico Gori, capable of ringing impossible notes at supersonic speeds! The creativity of Nico Gori Swing 10tet lies precisely in playing a music born a hundred years ago in a current and non-manneristic way, without wanting to copy or be nostalgic towards a past that no longer exists, but modernizing and making always different and fresh each performance, especially by actively involving a very diverse audience and interacting with that audience in real time, with the immediacy and authenticity that only improvised music can do. “Swingin ‘Hips” is a fresh, cheerful, swing-laden album featuring the magnetic Drusilla Foer and a new Stefano Bollani as a crooner. In his live expression the disc repertoire, published by Saifam and also available on all digital platforms, becomes a real live show: dynamic, overwhelming and that makes you dance. Also this record, like all the production of the tentetto, is a project promoted by Pisa Jazz and conceived by Nico Gori, which sees the participation of some young musicians of the Tuscan territory alongside established artists of the Tyrrhenian coast. The tentetto presents a repertoire made up of songs from the tradition of the historical big bands, of authors such as Benny Goodman and Count Basie and original songs by Gori himself, always inspired by the swing tradition of the ’30s and’ 40s. Although with a reduced staff compared to the classic big band, the arrangements, the sound sought after and the choice of repertoire are aimed at recovering the relationship between music, entertainment and dance of the great jazz orchestras of those years. The project represented the city of Pisa at the great solidarity event organized in L’Aquila in September 2015 and promoted by Minister Franceschini with the artistic direction of Paolo Fresu, which was attended by more than 50,000 people and over 600 musicians. The group performs regularly at the ExWide Club in Pisa during the fall and winter season, where it gives life to the infamous “swing party” in the Cotton Club style. The Nico Gori Swing 10tet, despite being a young formation, went on stage with the likes of Fabrizio Bosso and Rossana Casale, performing on the big stages of the Florentine New Year in Piazza San Lorenzo, Ancona Jazz, Ravenna Jazz and attended the special evening for Amatrice organized by Umbria Jazz in Assisi, with guest the great Renzo Arbore. The quartet met recently formed by Nico Gori, an excellent international known musician, already alongside masters such as Tom Harrell, Fred Hersch, Stefano Bollani and many others. The quartet is made also by the excellent pianist Piero Frassi, already known in the Italian jazz scene, from the solid and experienced bassist Nino “Swing” Pellegrini and the sparkling Vladimiro Carboni, drummer active in England and the United States and recently settled on the Tuscany coast. The Tuscany coast, in fact, is the land of origin of 3/4 of the group. It is also the meeting place of the four players in perfecting the sound and refine interplay. The name “Sea side” takes its cue from the venue for rehearsals, near the sea, on the coast of Livorno, a very inspiring place. The quartet’s repertoire ranges from traditional jazz to original songs, with clear references to the bebop and hard bop. The sound of the trio is typical sound of the known ”pianoless trio” of the history of jazz. It is the sound of a band without any harmonic instrument such as the piano or guitar (Rollins, Konitz & Marsh, Henderson). 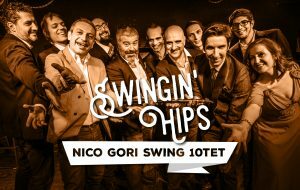 Through a journey into the world of standards, the group creates a flow of lines and rhythms dominated by the leader Nico Gori, vigorously supported with fresh variety Bernardo Guerra on drums and Matteo Anelli on bass. This trio formed by musicians that grew up under the influence of the great American sax player John Coltrane, is meant to be a tribute to this legendary figure of jazz. The trio traces the stages of Coltrane’s musical profile. A profile that goes from be-bop, in the times when Coltrane used to play in Miles Davis quintet, to the experiences of his legendary quartet that, already in the sixties, explored the various forms of integration between musical traditions from India and Africa with Western culture and music. The music that describes the well-known sax-player’s profile, is an impressionist music, characterized by an indomitable energy entrusted to first class musicians, who join together as if celebrating a rite where music is almost a religion and John Coltrane the venerable master. Il duo clarinetto e pianoforte ha origini lontane nel tempo e tanti sono gli autori che vi si sono cimentati, scrivendo pagine memorabili che ancora oggi vengono studiate ed eseguite. Il duo è per eccellenza il dialogo più intimo tra due musicisti, il momento in cui ognuno deve dare il massimo, scavare nel profondo per far scaturire la musica dagli strumenti, dalle partiture, dalle improvvisazioni. La collaborazione tra Fred Hersch e Nico Gori si pone l’obiettivo di scavalcare i confini dettati dai generi musicali spaziando da atmosfere echeggianti la classicità ai suoni della contemporaneità, dalla canzone alla totale improvvisazione, senza alcun pregiudizio o clichè. Il sodalizio musicale ed umano tra Hersch e Gori nasce dalla voglia reciproca di fare musica insieme; musica nel senso più alto e nobile; musica che si snoda ovunque ella desideri andare, accompagnata dal fine pianismo di Fred Hersch e dal suono morbido dei legni di Nico Gori. Il duo ha già al suo attivo concerti in Europa e in America dove ha riscosso notevole successo di pubblico e critica. Per citarne alcuni: Kitano’s e The Falcon a New York, Porgy and Bess a Vienna, Sunset/Sunside a Parigi, Caramoor Jazz Festival (N.Y.), Jazzhuse Montmartre a Copenhagen. 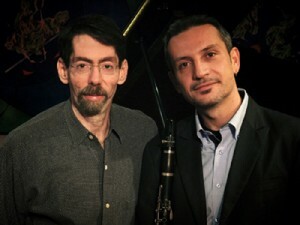 Il disco di Nico Gori e Fred Hersch, dal titolo “Da Vinci” , è uscito il 29 Marzo 2012 per l’etichetta francese BEEJAZZ in Europa, NAXOS negli Stati Uniti e Canada, SONG X in Giappone.